Who would have thought a phone can save your life in an emergency? And not necessarily because you’d be able to use it to call for help. As you’re about to see, your phone can be prepared in a variety of ways to assist you during bug in, bug out, get home, and even wilderness survival scenarios. Caveat: what about loss of privacy? It’s no secret that many of the apps and even the mobile operating systems themselves upload a lot of data to their respective owners. While the main reasons have to do with marketing, who knows how companies will use this information in a SHTF scenario. 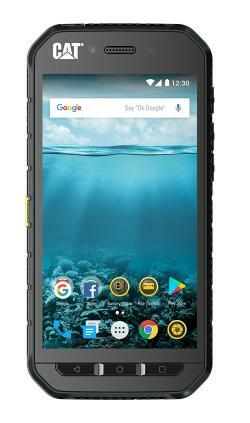 I’ll leave it up to you to figure out if you really want a smartphone that can help you in disaster scenarios. Also, don’t forget that your device is part of your everyday carry kit (EDC), making your phone that more useful. and, of course, long battery life. 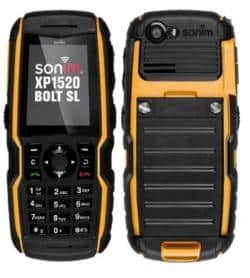 Another rugged phone, that’s factory unlocked. However, these are pretty pricey compared to the Samsumg models we just talked about. 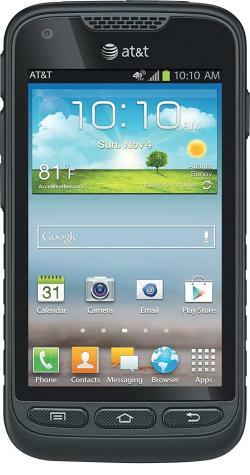 It has 4in display, 5 megapixel camera, Android 4.0, 1.5gHz Spandragon processor, 16 GB of memory, and 1 GB of RAM. This one has a 4 inch display, FM radio but you’ll need earphones, 4 GB of memory, and 512 RAM, and TF card support. 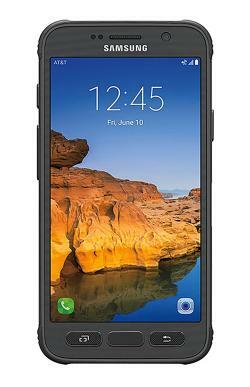 It has a keypad and not much of a screen but it’s the toughest phone from this list. 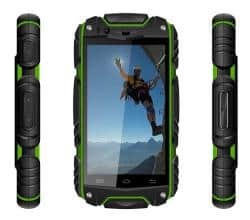 It’s IP67 waterproof, shockproof, and dustproof it has a dual SIM, a long-time standby and is unlocked. Last but not least, a cheap, emergency phone such as this one. 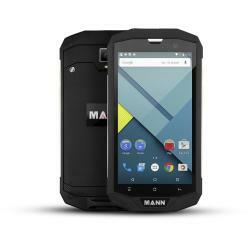 It has basic functionality, but that’s all you need if you’re stock in the woods and your main phone is dead. You can get a few of these and just throw them in each of your survival bags. Are mainstream phones any good? iPhones and Galaxies are “ok”, provided you get a good shock-absorbing case. Just don’t expect them to last underwater and of, course, expect to pay a premium “because it’s Apple” or “because it’s Samsung”. Caveat: if you live in an urban area, having a rugged phone will make you stand out from the crown. People will wonder why you didn’t get a slim one like everyone else. If you’re not going to get an iPhone or a Samsung Galaxy, you can just tell them you’re a camper or that you’ve dropped your phone too many times before and need something more durable). The problem with prepaid phones is that the minutes expire. Waiting for SHTF to activate the minutes ins’t a good idea, either, because they take too long to activate and besides, in a disastrous situation, they might not work at all. The best way to go about it is to purchase and activate your pre-paid minutes and then pay a small fee (around 10 bucks a year at T-Mobile) to keep them active. The main thing you’d need is a solar charger but, if you don’t have a rugged phone, you should definitely get a shock absorbing case such as for iPhone, and Samsung). Also, if you have a PDF or a Word Document, you can use a free software named Calibre to convert it to the Kindle format, and then use TotalReader for iOS or CoolReader for Android to view them. Not all content needs to be uploaded as PDF or read via Kindle. There are various apps that allow you to consume the information in an easy manner. Please note that some of the apps below are for iPhone, even though Apple doesn’t make rugged phones, you can use a good shock absorbing case if you don’t want to sell it. You can find lots of various apps in your app store, just make sure you only install the ones that have good reviews. wire and the battery to start a fire (touch the wire to both the + and – of the battery and put it next to some kindling) etc. Before I wrap this up, I just wanted to say a few more things. First off, you should never rely on your phone in an emergency. Even if the lines are functional, they’re probably going to be overloaded. You should definitely have other means of communications such as walkie-talkies, CB radio or HAM radio. Second, if you’re looking to store a lot of information, you may want to consider a Kindle device. Not only is it cheap and light but uses very little energy and can be on stand-by for weeks, even months. Third, you need to consider an EMP and its effects which will render your devices useless. You can try keeping them in a Faraday cage, but there’s no guarantee they will work. Even if they do, the phone lines will probably be down, so you’ll only be able to use the apps and information you have stored. I realize this is bring a post but What phone do you personally carry? And do you like it? Hey, Dan – Enjoy your blog. Good info here. 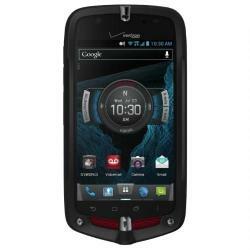 You might wish to consider the Smart One GPS phone. It’s just 50 bucks and a year of service is ony 25 bucks. the good things about it is that it runs on just 2 AA batteries, which are inexpensive and can be found most anywhere. And I like the idea that it runs off the satellites, and is not dependent on the networks, which could go down in a SHTF scenario. I am a 100% disabled vet, and I carry it in my pickup in case I get stranded. Surprised you don’t have it listed here. All of these Smartphones are contingent upon all of the cell system staying “up.” Suggest a portable, rugged “police/fire/weather” enabled scanner instead. And/or a portable HAM Band Transceiver, with the requisite & appropriate FCC license.